Nov. 14, 2018 5:06 p.m.
Mixed Doubles Pickleball partners, Jayne Hackman from Vernon, and Dale Charlton from Kelowna beat out 17 teams to win a bronze medal in the 65+ age category in the U.S. Pickleball Nationals in Indian Wells, California. “It’s been a very exciting 11 days competing in two warm-up tournaments in the Phoenix area, followed by the U.S. Nationals in Indian Wells,” said Hackman. Hackman also won a gold medal with her doubles partner, Kathy Evers from Colorado in the 65+ division competing against twelve other teams. She and Evers have played together in tournaments for two years and had a nail-biting come-from-behind victory in some very hard fought games. 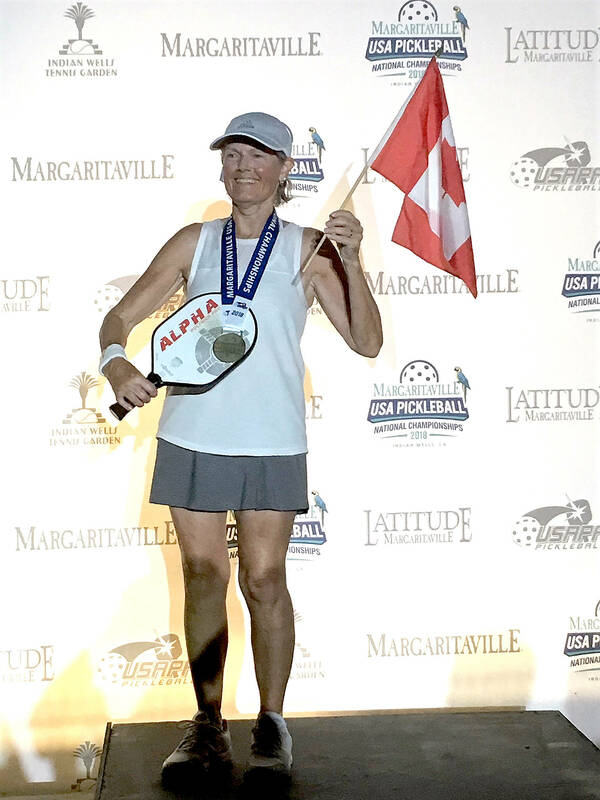 To top off the U.S. Nationals, Hackman also beat out 10 competitors in the ladies singles 65-70 age bracket and was undefeated — once again winning Gold as she did in 2017. Hackman has lived in Vernon for 38 years and started playing Pickleball with the Vernon Pickleball Association four years ago.